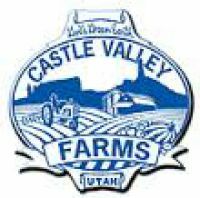 Castle Valley Farms is located in Grand county, Utah about 16 miles northeast of Moab. A scenic drive winds along the Colorado River and ends in Castle Valley. Our 320 acre farm of DayStar Adventist Academy is irrigated by water flowing out of the nearby La Sal Mountains, making it an alive and colorful desert oasis. At Castle Valley Farms our top goal is to cultivate the right characters in our youth. DayStar Adventist Academy, a boarding academy, and Castle Valley Farms operate as one unit specifically for our young adults. Practical skills are gained by the students as they experience a hands-on and very practical approach to learning. From planting through harvest, the students get a first hand look at what it takes to produce food and forages as well as learn many other skills. The simple way of life tends to develop a love for God's Word and Works. There are few moments as delightful as when a young person proudly shows you the harvest of their own persistant hands. The crops grown range from year-round salad greens, seasonal vegetables, summer to fall tree fruit, hay, and lavender. In the future there is potential for growing a variety of small grains/seed crops, small fruits, and much more. The farm is to be setup for the potential that it has to meet the needs of the campus and the region surrounding. Visitors are welcome to experience our Farm Store, our school campus and talk with our staff. We aim to have a school as "home-like as possible" and press toward real cause and effect education. We are usually available and on the farm from Sunday through Friday. We encourage transparency in our food supply and believe this is one of the best ways for you to connect with the source of your food. The farm is closed on the seventh-day Sabbath. 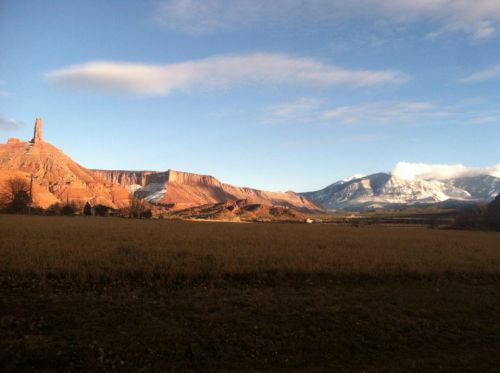 We encourage you to come to Castle Valley or Moab Seventh-day Adventist Church to experience a simple rest God designed for all as a memorial of Creation.